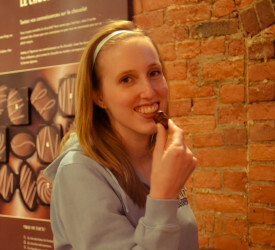 The Chocolate Museum, A Canadian First, opened in June of 1999 and was substantially redesigned and expanded in 2009. It is a must for all Chocoholics! Devoted to the wonder of Chocolate, it displays the history of Ganong Bros. Limited, candy makers in St. Stephen since 1873. The Chocolate Museum is an indoor, unique, interactive experience.